Greetings, I am Jesus Sananda, I am Yeshua, I am your beloved brother and friend, Yeshi. It is my joy and my honor, my privilege, to speak to you this day. And yes, the channel sometimes teases me and she says, “Do you only ever have to talk about Love? Is there no other topic in your repertoire? Of course I always like to avoid suffering, sorrow, grief, persecution.” And so I smile at her and say, “No. All I have to talk about is Love.” And then we laugh because we know, as you do my beloved brothers and sisters, that in the discussion of Love you are discussing the substance, the meaning, the elements, the totality of the universe and the totality of the Mother’s heart and being. So, we can be talking about plumbing, gardening, my favorite subject, carpentry, and still we will be discussing Love. You know, I am on this side but even as I walked this beloved earth, the rocks, the dirt, the salt sea, often my friends, my apostles, my disciples, my family, even strangers would say to me, “Yeshua, you only have but one topic to talk about and it is couched in many ways.” But this day I have a surprise, for I come to speak about passion! Now, I have spoken in other times and places about the love and passion that I had for my beloved, for the Magdalena, for my family, for my children. But this day I come to speak to you, to invite you, to encourage you, to support you to live, to embrace, to embody, to find your passion in terms of your service; for if it is not your passion, if it is not what delights you down to your very core then you are merely going through the motions. If you do not feel dedicated, meaningful, contributing, having impact, and sheer delight when you get up in the morning for what lies ahead, then dear friend, you are in the wrong job. What I suggest to you, my beloved friends, is that you can do that from elsewhere, you can do that in your meditation, you can do that from home, you can do that from your car. Do not put yourself in situations of service, of relationship, of family, of anything that is less than what you deserve, which is fulfillment. You are on the planet during this time of Ascension, of Shift, to lead the way, to be the pathfinders, the repatterners, the regridders. And if you are holding a pattern of dissatisfaction, of unhappiness, of drudgery, then you are not fully being the transmitter and the anchor, you are simply going through the motions. And you say, “Yes, but Yeshi I need the money.” In what universe, in what reality, in what dimension do you not know how capable you are of creating and of earning whatever abundance you decide upon, you deem necessary or desirable? Do not…don’t you dare underestimate the truth, the value, the might, and the creativity of who you are. So, there is no excuse. ‘Oh, but there is a shortage of jobs.’ No, create what you want…write it in the air, write it in the water, write it on your shield and broadcast it out to the multiverse and allow it to come to you. Now, when I speak about having passion for your work, I mean just that…that you are crazy about what you do! And this is in every area. Now, were there times, and even now which is hard for you to understand, are there times, are there assignments that are difficult, challenging, uncertain? Yes, because of this wonderful quality that the Mother has bestowed upon her creation of free will and where there is free will there is always the opportunity and the presence of uncertainty…which way will they jump? And I’m not merely speaking of the collective or of the human race, I am speaking of all races, all creations. Yes, some are more evolved, some are more in a place of alignment with divine mind, heart, purpose, will; and so are you! When I was upon the planet as Yeshua, there were times when my work was challenging, when blame and shame and anger and fear and fault, lack and limitation, would raise its ugly head. And they would say to me, “You, you do not understand the reality of daily existence” which was not true. And yes there were times when it would have been far easier for me to go quietly off and practice my carpentry, to take care of my family, to be available to my Magdalena, to my mother, my father. But that was enjoyable and I loved the feeling of wood…but it was not my passion because it was not in alignment with who I was and am. I am the carrier of compassion. I am the bringer of magenta. I am the teacher and the master of Love, of the Christ Consciousness. Why would I want to do anything else? Even in those difficult conversations, even in those difficult assignments I cannot fathom desiring to do something else. And so I say to you, my beloved family, my best friends, this day find your passion. And if it is not what you are doing, then adjust. And if you do not know how to adjust, then let me help you. I can assist in unseen and very physical, reliable ways. As carpenter I can help you build a new career, a new calling. And if you are, as many of you are, exactly where your passion has led you, embrace it more deeply. Yes, there is a tendency; it can become humdrum every day. Re-embrace it, re-commit to it, ignite the magenta passion for who you are and the gifts that you carry on behalf of the Mother, in this unique time, to all who live upon this Earth. I stand with you and I walk with you, I sit with you, I pray with you. I am in awe of you. You deserve, you have earned the right to follow your heart’s desires. That is the desire and the plan, the unfoldment of our Mother. Express yourself in your unique way and go with my love. Farewell. 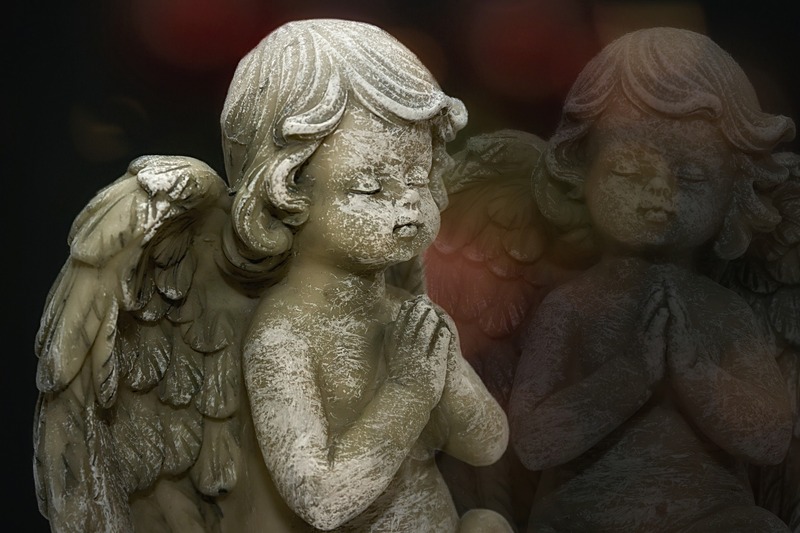 Archangel Gabrielle on Devotion and Stepping It Up!